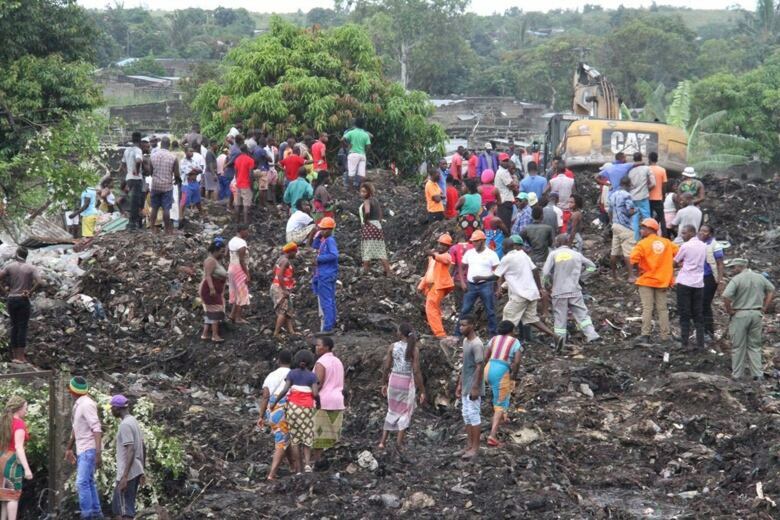 Rescuers are still searching for bodies after a mountain of garbage that people called home collapsed in on them outside the capital city of Maputo. 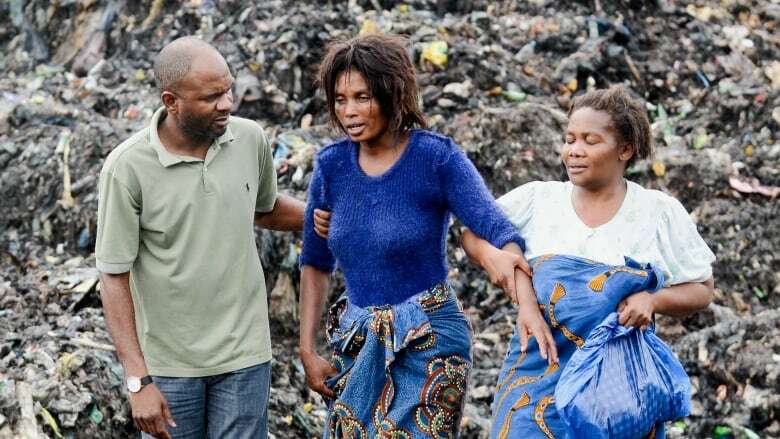 The survivors of a deadly garbage avalanche in Mozambique aren't likely to stray far from the dump they call home, says BBC reporter Jose Tembe. 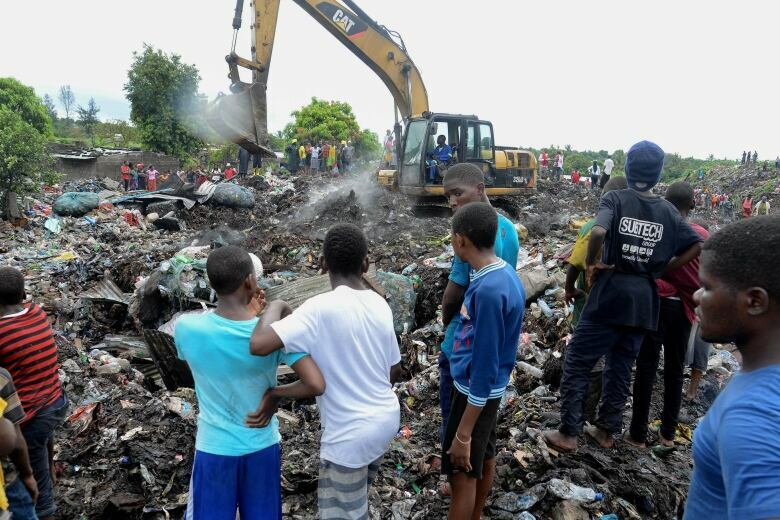 At least 17 people were killed when heavy rains caused a giant mountain of trash to collapse on a makeshift camp on the outskirts of Maputo on Monday. Tembe, a freelance journalist, has been covering the tragedy for BBC. He spoke to As It Happens host Carol Off about why people were living at the base of a garbage mountain, and why they're not likely to flee to safer ground. How many people do they believe were living in and around that dump before it collapsed? They haven't advanced any number, but local residents think that the number of those who were recovered dead is smaller than the number of people who used to live there. And these were people who had no place else to go. They were living there in some kind of housing they made for themselves. Is that right? There are two groups. 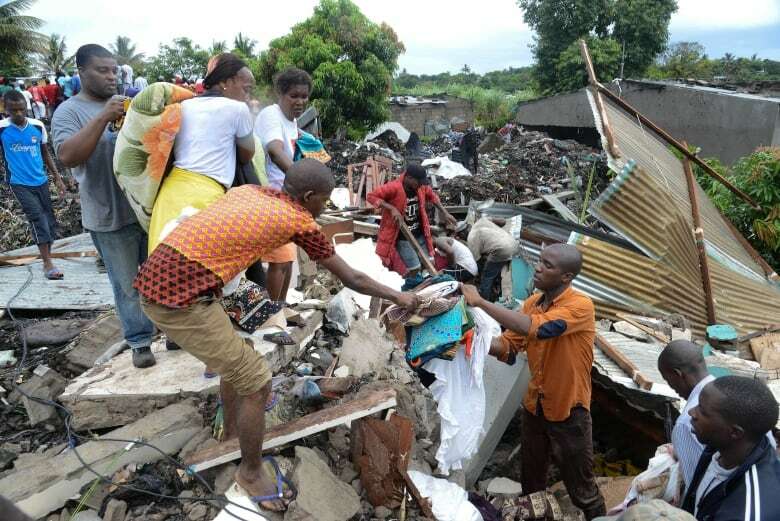 One group is of residents who actually built their houses in the vicinity, but several of the houses collapsed. The other group is of street people, including kids, who had nowhere to stay, had no way of survival, and they found the rubbish dump as a source of survival. So they made some makeshift camps to live there and they run behind trucks that carry garbage to that place. This is the garbage that came from people in Maputo. We understand that dump, the pile, was almost 50 feet high. Can you describe what it looked like before it collapsed? It was just like a mountain. The government has always promised to move it to a new location, but it never did. So trucks keep on piling up, piling up and you had mountains and mountains of garbage in there. They tried to check whether they can recover more bodies, but there is a big need for them to move as quickly as possible to ensure that no more incidents occur or no more tragedies occur. Can you describe how the garbage mountain collapsed, why it collapsed? It collapsed because the rainfall was too heavy that it was pushing a lot of things away. What kind of rain are you getting these days? These past two weeks it has been raining. ... Now that I'm talking to you, it's raining. And all that rain is what finally washed this pile of garbage over those people who were living there. Yes. In fact, the government decided to move all the families that were living in the area to make sure that they don't become the next victim of the current rainfall. And they are staying in a temporary shelter not far from the garbage camp, waiting to be given some plots to build on safer ground. People have been given plots before, but they return to the garbage dump. Why is that? Because it's the source of their survival. They get food. They get things to sell. They get things to help them live from the garbage dump. Is that the case? Yes, because this is the main garbage dump that we have in the city, and the many supermarkets dump their outdated goods like sardines and meat. You say a lot of children are there. Are they on their own? Most of them are street people. Not necessarily all of them are orphans. They come from the countryside. They don't have relatives here. Or they live with step-parents who mistreat them and then they decide to live in the streets and some of them resort to going to live in the garbage dump. What do you think the government will do now? Will they try to prevent people from living in that garbage dump after this horrible recovery is finished? I think one of the measures is maybe deploy some security people to keep people from going there. Or, in fact, close the rubbish dump completely and find a new place. But I think these poor guys are likely to go and stay in the new garbage dump, because they don't have any other form of survival. They cannot live without relying on what is dumped.